The storm that swept across the center of the United States on October 26 and October 27, 2010, was memorable to those who experienced it because of its strong winds, rain, hail, and widespread tornadoes. Meteorologists get excited about the storm because it set a record for the lowest pressure (not associated with a hurricane) measured over land in the continental United States. At 5:13 p.m. CDT, the weather station in Bigfork, Minnesota recorded 955.2 millibars (28.21 inches of pressure). Pressure is one indicator of a storm’s strength, and this measurement corresponds to the pressure seen in a Category 3 hurricane. This image, taken by the GOES satellite on October 26, shows the storm system circling around the area of extreme low pressure. Such extratropical cyclones form over the United States in the spring and fall, when the temperature difference from north to south is large. Cool, high-pressure air rushes toward the warmer, low-pressure air. Because the Earth is rotating, the air moving in ends up circling the area of low pressure, creating the cyclone shown in the image. The intensity of the storm is determined by the pressure difference between the center and the outer edges. Extreme low pressure in the center of the storm, therefore, is an indicator that the storm was very intense. The animation shows the storm developing starting late on October 25 and running through October 27. The cyclone formed very quickly on October 26, taking a distinctive comma shape as the day went on. The storm developed so quickly, in fact, that it is classified as a bomb, an extremely fast developing storm (dropping at least one millibar of pressure per hour for 24 hours), more common over water than land. The storm was also huge. Though the area of low pressure is centered over the Upper Midwest, the storm reached from the Gulf of Mexico into Canada, and from the Rocky Mountains to the Atlantic Ocean. Extratropical cyclones bring an array of unsettled weather, including strong wind, rain, hail, and tornadoes, and this cyclone brought all of that. On October 26–27, winds gusted up to 78 miles per hour in Michigan, with high winds throughout the Midwest. The National Weather Service reported 61 tornadoes over the two days. Heavy snow also fell in the north. NASA Earth Observatory imagery created by Jesse Allen, using imagery provided courtesy of the NASA GOES Project Science Office. Caption by Holli RIebeek. 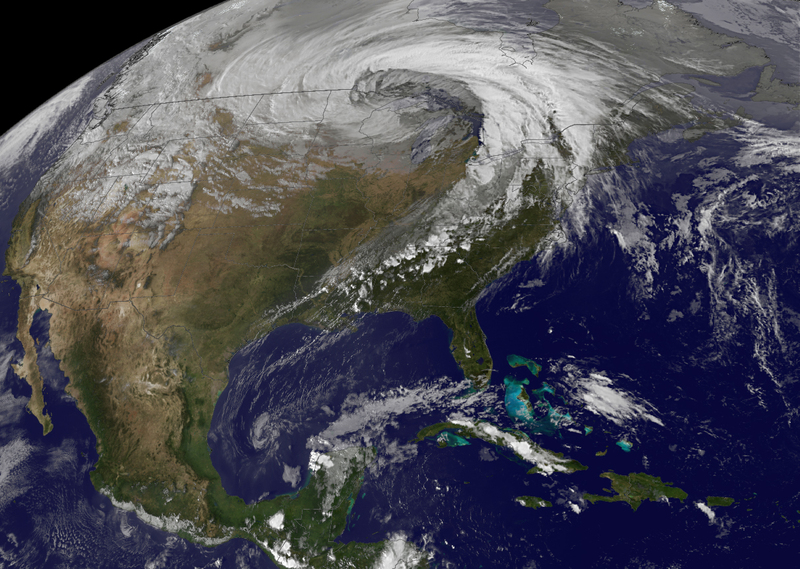 This image, taken by the GOES satellite on October 26, shows the large extratropical cyclone over much of the United States. Bulletin of the American Meteorological Society. (2010, October 27). The bomb. The Front Page, Blog of the American Meteorological Society. Accessed October 28, 2010. Bulletin of the American Meteorological Society. (2010, October 27). But not THE bomb. The Front Page, Blog of the American Meteorological Society. Accessed October 28, 2010. Goldenberg, S. (2004, August 13). What is an extra-tropical cyclone. Frequently Asked Questions, Atlantic Oceanographic and Meteorological Laboratory, National Oceanic and Atmospheric Administration. Accessed October 28, 2010. Masters, J. (2010, October 27). 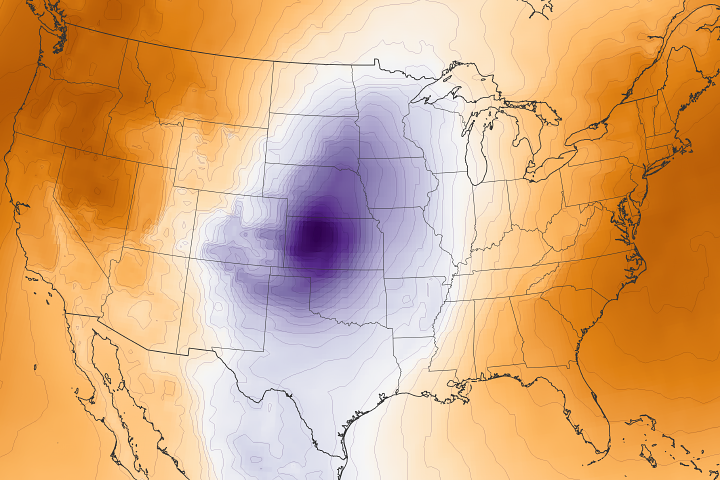 Strongest storm ever recorded in the Midwest smashes all-time pressure records. Dr. Jeff Master’s WunderBlog. Weather Underground. Accessed October 28, 2010. Minnesota Climatology Working Group. (2010, October 27). Record low pressure hits Minnesota October 26-27, 2010. State Climatology Office. Accessed October 28, 2010. National Public Radio. (2010, October 28). Hurricane-force storm slams the Midwest. Accessed October 28, 2010. National Weather Service Storm Prediction Center. (2010, October 27). 20101026’s Storm Report. National Oceanic and Atmospheric Administration. Accessed October 28, 2010. National Weather Service Weather Forecast Office, Duluth, MN. (2010, October 27). 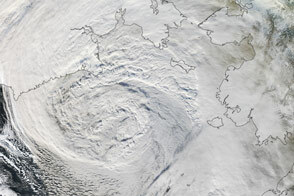 Low pressure records set on October 26, 2010. National Oceanic and Atmospheric Administration. Accessed October 28, 2010. National Weather Service Weather Forecast Office, Duluth, MN. (2010, October 28). 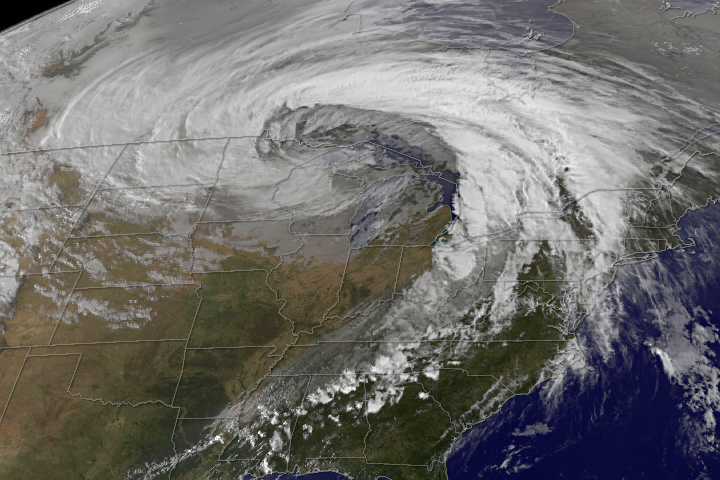 The North American extratropical cyclone of October 26-27, 2010. National Oceanic and Atmospheric Administration. Accessed October 28, 2010.